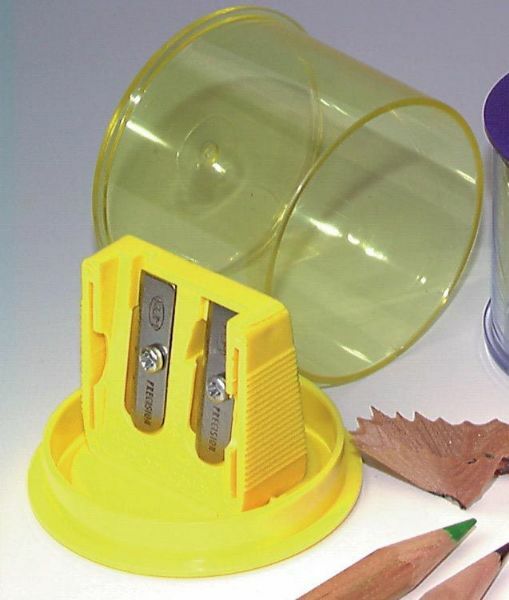 Color-Combi container with double-hole plastic sharpener. * One hole is specially made for colored pencils and produces a rounded off tip. * The other hole is for standard pencils.